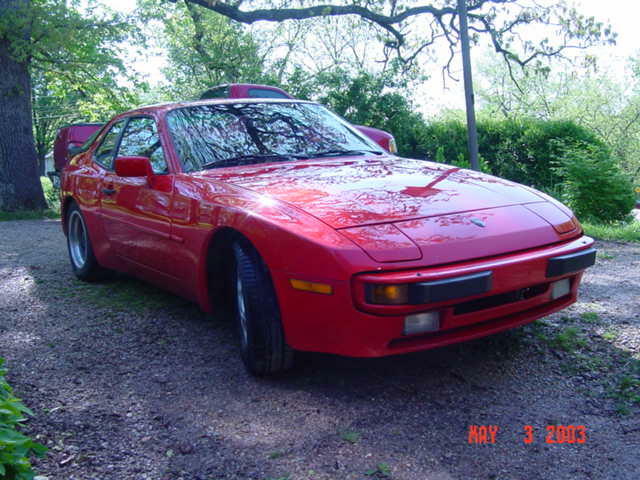 I bought this 1985.5 PORSCHE 944 on November 24, 2002 for the princely sum of 1000 dollars. I think that is a very good price especially considering that it came with a new clutch and a set of factory manuals. Still, its an eye-opening experience and one should have their eyes open when it comes to cars. These old German cars are not for everyone. A good deal for me may be a disaster for others. I think to enjoy a Porsche (especially an older one) you'll need some combination of these things. I don't have any of the first 5 but do have a little of that last one. Some of these things are serious, some are not. I should also mention that despite these problems there are a lot of things that the previous owner took care of. For instance I have a new clutch, replaced AC/heater controls, good brakes and glass. The interior, body and paint are in fairly good shape too. A clutch job on other cars might cost 500$ in labor & $300 for parts; but for the 944, labor is often twice that much and the parts alone are well over $500. A set of engine gaskets for many 4 cylinder cars is something like 80$ but for the 944, the cost is roughly double. 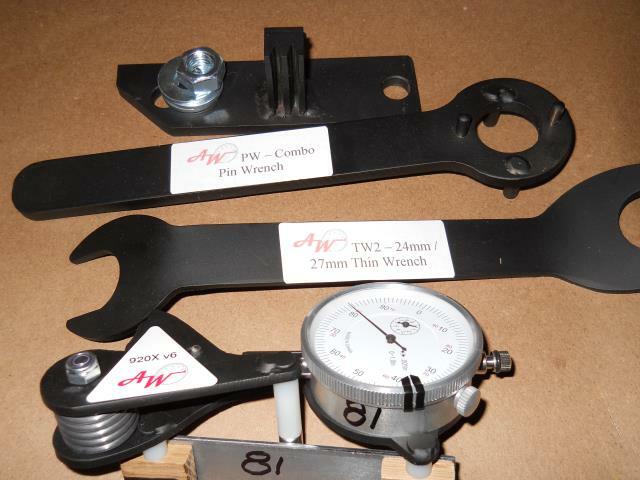 A front suspension control arm might normally cost 120$, but for the 944 this piece costs over $400. I think, because of these things, that Porsche owners have a sort of complex about their cars. They hate the high cost of new parts and are frequently aggravated by poor reliability and goofy design decisions. At the same time they seem to love how the cars are different from almost everything else on the road. And too, these cars ARE fun to drive. They have a very solid feel, excellent stopping power and make for a great commuter. I like the challenge of fixing up old cars - I’ve done several over the years but it has been some time since my last car project. In past projects I poured many dollars into "my creations" all the while telling myself things like "... worth doing is worth doing right." This is a good approach but can blend over into adding high-dollar bolt-on modifications. "Bolt-Ons" or "Go Fasters" come in all sorts of colors and flavors and can be quite appealing. Before you know it, you have a modified vehicle that only the very young would want to purchase. Doing this is no longer challenging or satisfying (for me). What I have enjoyed most was devising some sort of unconventional modification that solves a long standing problem. These experiences together with what I'd learned about Porsches began to shape my ideas for what I wanted to do with this car. A restoration or some sort of all-out renovation was out, simply because the resale value of the car could not justify it. A V-8 transplant might be fun but the local smog inspections would probably sideline that and besides, there are so many other cars that would make better hot rods. So, that just leaves something in the middle, some way to say cool-foreign-sports-car and still be a reasonable, fun project. This is how I came to the idea of a - "Budget Porsche." If you own a PORSCHE, you probably wouldn't put these 2 words together (Budget - Porsche); but that is what I'm trying to do. Goal: Build a reliable, daily driver for under $4000. July 2, 04 Update: I'm about 95% finished with this project and have only some paint work to be finished. I use the car now only on weekends. To date, I have spent almost all of my budget. Update: I sold this car in 2010 and got all of my money back. Of course, my labor cost was all lost. The biggest disappointment about that car was that the right front frame rail had been replaced and I could not get it to align correctly, which meant the car always pulled a little to the right. Anyway, it was a fun project and opened the door to several other projects. "There's no such thing as a cheap Porsche"
In retrospect, I think a Porsche 944 makes for an excellent project. There are many frustrations along the way but, for me, the challenges are rewarded with a good handling and economical car that can be made reliable with determination.